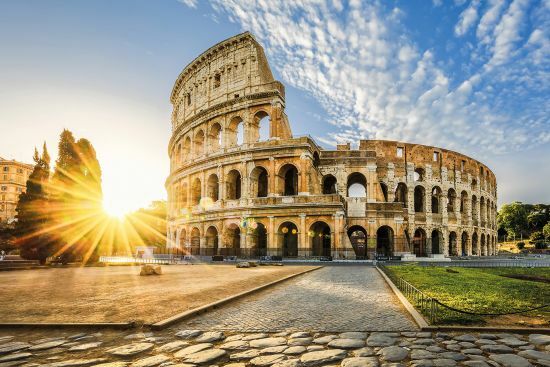 Take Metro Line B to Colosseo station and step back 2,000 years at the Colosseum (coopculture.it), where gladiators once fought, cheered on by 60,000 spectators. It’s still wildly popular today, but you can avoid the queues by pre-booking a guided tour. Walk up the Via dei Fori to the entrance of the Forum and the Palatine Hill, the most famous of Rome’s seven hills. This was the ancient city where Roman high society lived. You might recognise a name or two from your history lessons – the House of Augustus still has the colourful mosaics that decorated the walls when the emperor lived there. 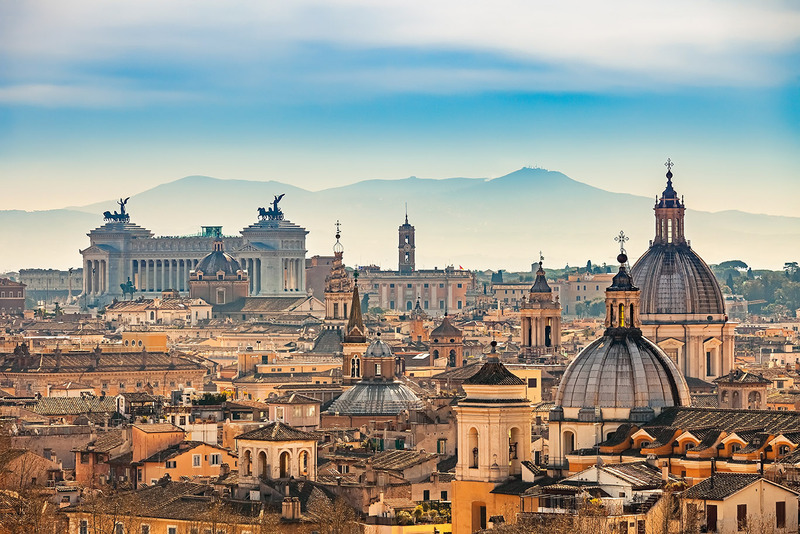 The Piazza Venezia is Rome’s central hub, famous for its Il Vittoriano monument, nicknamed ‘The Wedding Cake’. It’s worth seven euros to go up to the top in the glass lift – but the 360° view makes for the best photo opportunity. By now you’ll be peckish, so make like the locals and grab a pizza al taglio – a slice to go – and an ice-cream. Gelati are an art form in Rome, and at Flor (gelatiflor.com), in the Via Cavour, you’ll get the real deal. 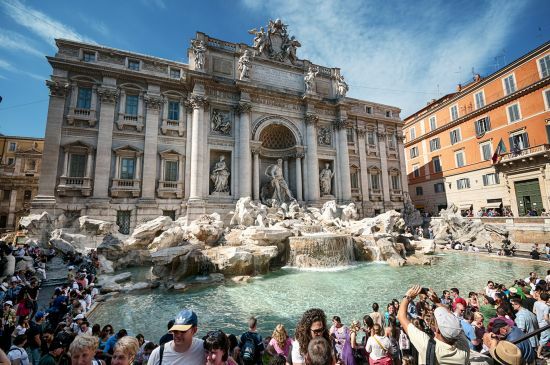 Throw your euro coin to the 700,000 others that are thrown into the Trevi Fountain each year and make a wish. Next take the five-minute stroll to the Pantheon, renowned for its magnificent Roman dome, and the church of San Luigi dei Francesi, which houses three paintings by the Renaissance master Caravaggio. Follow signs to Piazza di Spagna and you’ll come to the famed Spanish Steps (named for the Spanish embassy, which once stood at the foot of them). Then splurge – or window-shop – in the designer boutiques of the nearby Via Condotti. Just five minutes away from Piazza di Spagna is Ginger Sapori e Salute (gingersaporiesalute.com), a buzzy bistro restaurant, well-known for its super-healthy chicken meatballs, cooked in high pressure steam (and perfect with a bottle of the local Frascati). Do you love Roman Holiday? The Bocca della Verita that journalist Joe (Gregory Peck) and Princess Ann (Audrey Hepburn) visit in the classic film is at the church of Santa Maria in Cosmedin. And beware if you’re inclined to be economical with the truth, because the marble mask is said to bite the fingers of any liars who dare to put their hands in its mouth. Head across the river to Vatican City, home to the Pope. 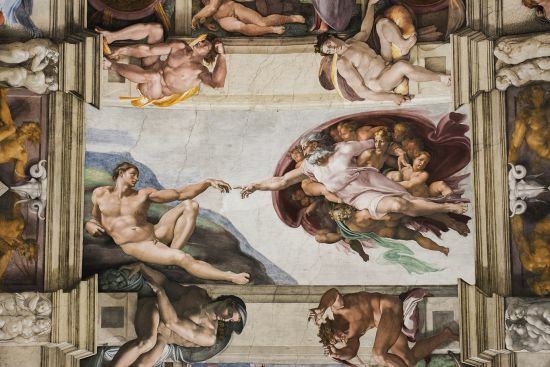 Skip the museums this time – it’s estimated that you’d need 12 years to see every item – and focus on St Peter’s basilica and Michelangelo’s spectacular ceiling in the Sistine Chapel (one word of warning: make sure to cover up before you go inside as this ). From St Peter’s Square, walk down Via della Conciliazione to the towering Castel Sant’angelo (castelsantangelo.com), also known as the Mausoleum of Hadrian (once a papal fortress, it has a secret corridor that links it with the Vatican). Then walk across the Bridge of Angels, spanning the River Tiber, and follow signs to Piazza Navona. This beautiful square was once a Roman stadium, but now it’s popular for its impressive Baroque fountains. Fancy a coffee? Make sure you take your espresso standing at the bar, or you’ll risk an extra charge. For more than 500 years, living conditions in the Jewish Ghetto (romeinformation.it), down by the river, were close to unbearable. Now this is one of Rome’s most fashionable districts. At the Turtle Fountain, turn on to Via di S. Ambrogio for a close-up view of the Great Synagogue, a grand building that you’ll already have glimpsed from many vantage points in the city. Go inside – via the Jewish Museum – to admire the wall decorations and see the memorial plaque to Roman Jews who lost their lives during the Second World War. Just a few miles from the city centre – catch a cab or take the 118 bus from the Colosseum or Piazza Venezia – you can saunter along the Appian Way (Via Appia Antica), one of the earliest Roman roads, which linked the city with Brindisi on the Adriatic coast. The stretch closest to Rome is now part of a nature and archaeological park, Parco Regionale dell’Appia Antica (parcoappiaantica.it). Look out for ancient monuments along the way – there are plenty of them. Piazza Campo de’ Fiori (turismoroma.it/cosa-fare/campo) was once the stage for public executions. 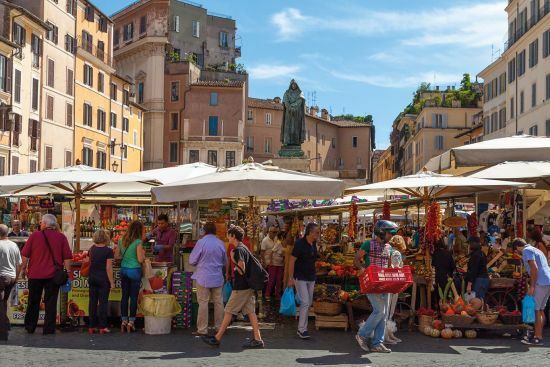 Now it’s one of the finest open-air markets in Rome, held every morning but Sunday. Wander round the fruit and vegetable stands – open until 2pm – and hunt for souvenirs and presents – you’ll find the prices cheaper than elsewhere – then take a wander down the nearby streets, where shops are named after the craftsmen who once worked there. Treat yourself to a long, lazy lunch in one of the square’s trattorias and watch the world go by, Italian-style. Rome is a romantic city, and some say Janiculum Hill (Gianicolo) near the Vatican is one of the most romantic places to visit. Although it’s the second highest point in the city, it isn’t classified as one of the Seven Hills of Rome. But you will be able to admire the most amazing views (selfie, anyone? ), and make sure you stop to admire the Fontana Paola, a stunning fountain built in 1612 to mark the end of the Trajan Aqueduct.